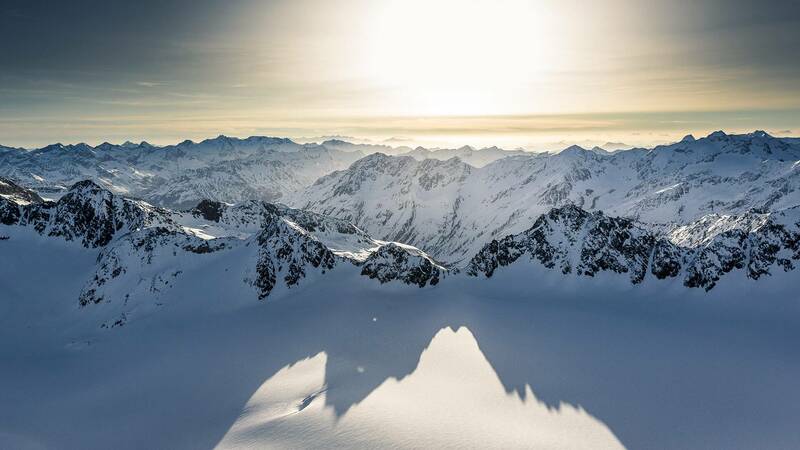 New: Your Sölden ski pass is also valid in in all 6 skiing areas in Ötztal! 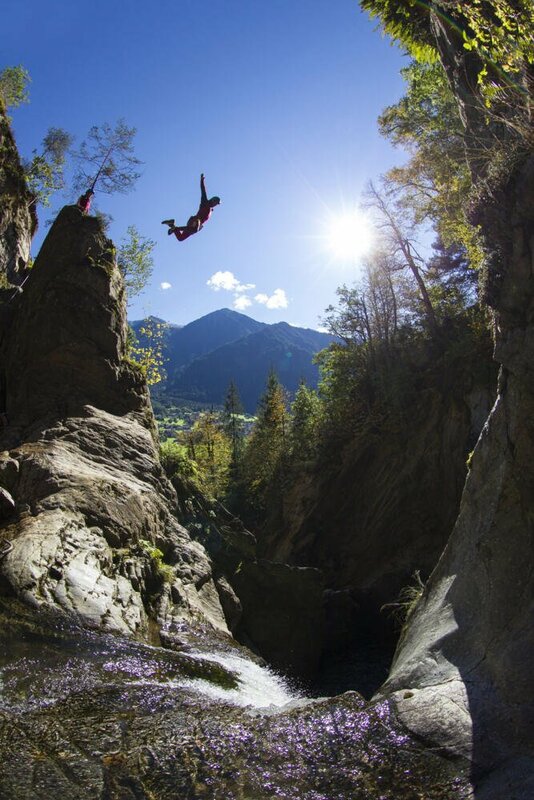 Famous well beyond the borders of Tyrol, Area 47 is an outdoor adventure park at the start of the Ötztal Valley where adrenaline junkies will find plenty to set the pulse racing. 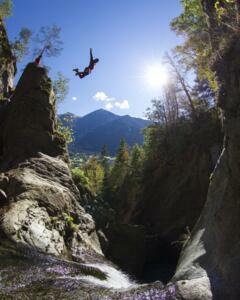 Outdoor action, watersports, rock climbing and concerts are just some of the highlights. 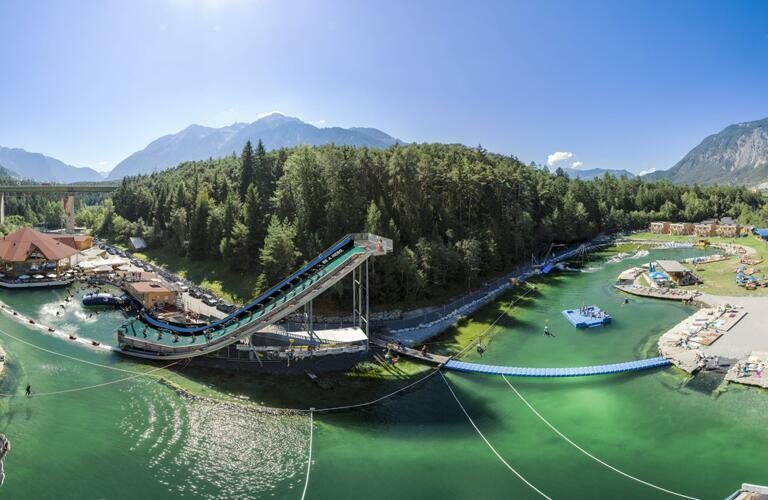 The 20,000 m² Water Area is made up of a swimming lake, slide park, diving tower, deep water soloing climbing wall and a water jump for creative stunts on bikes, skis, boards and tubes. 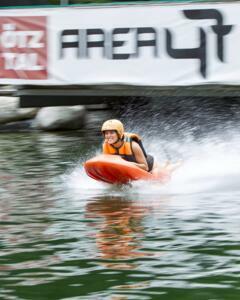 At the Wake Area it is all about drawing smooth lines through the water, be it on water skis or a wakeboard. 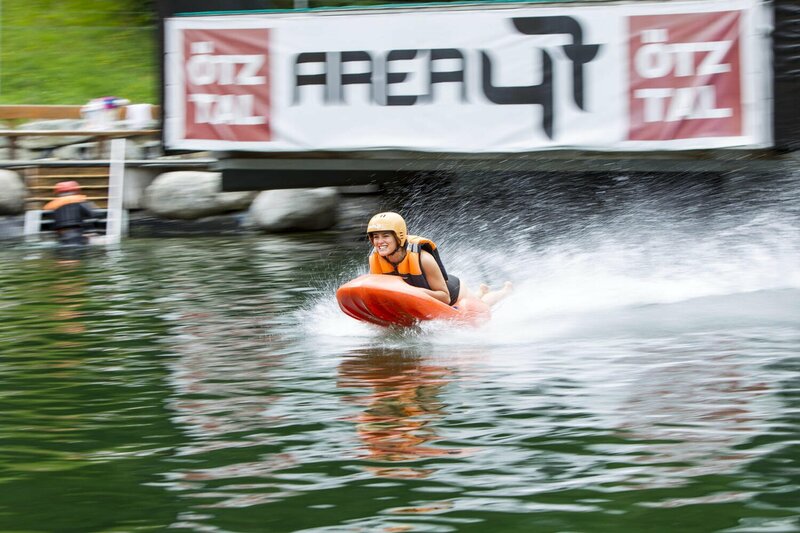 A 420m lift gives access to kickers and boxes for sick tricks on the water. 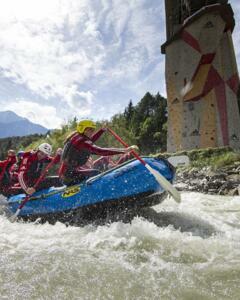 Rafting, canyoning and caving are three of the best ways to enjoy the mountains of Tyrol. 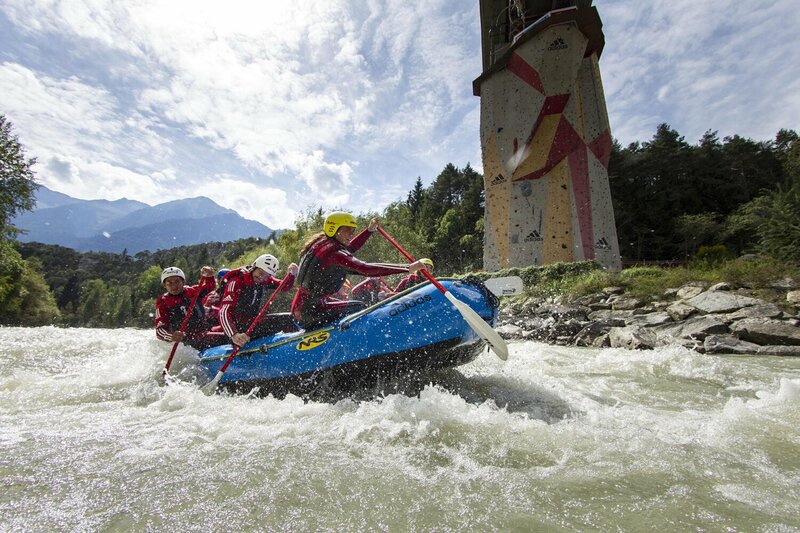 Experienced guides will introduce you to this thrilling world of outdoor adventure sports. 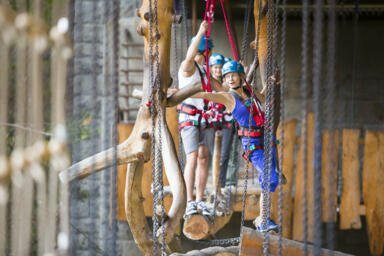 Area 47 is home to the highest forest obstacle course in Austria, featuring a zipwire over the lake and a Mega Swing for those with nerves of steel! Enduro and motocross are the name of the game as guides show visitors the best trails in the Ötztal Valley. If the weather is bad there is the 3,800m² indoor offroad centre. Live concets, cool DJs and sports events make the Party Area the place to be in Area 47. 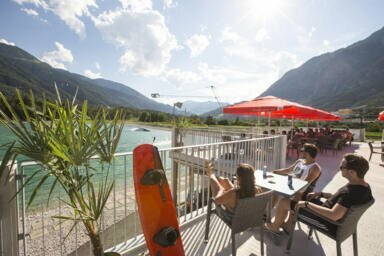 In summer there is also the Open Air Area and the River Haus Bar. 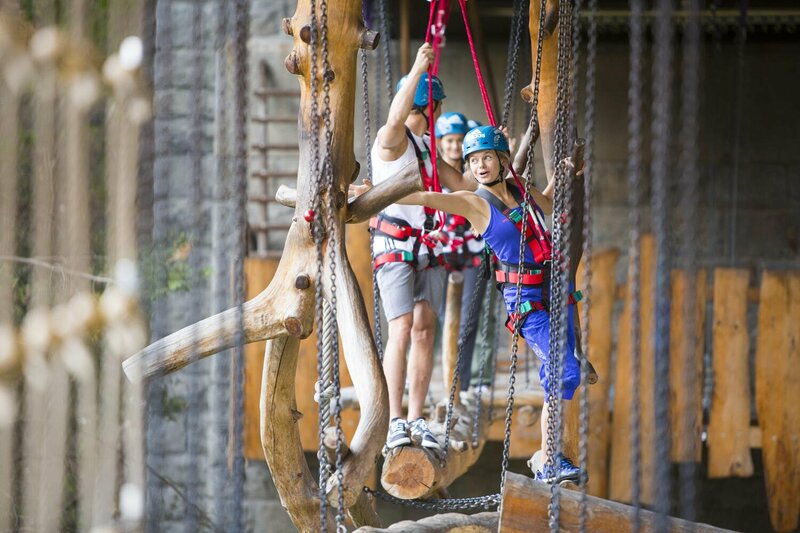 From the late April until early October the Area 47 outdoor adventure park is the place to be for families and adrenaline junkies in search of the ultimate kick. Area47 is just a 40-minute drive from the Hotel Bergland in Sölden. 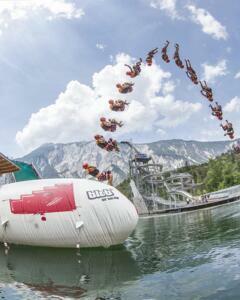 Holders of the Ötztal (Premium) Card receive one free admission to Area 47. 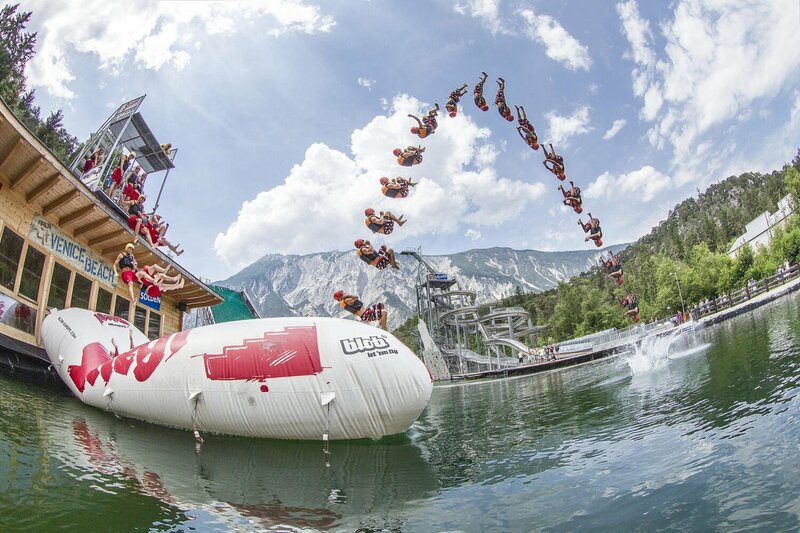 Guests staying with us between 3 and 14 June for at least ten nights also receive an additional admission to the adventure park free of charge (Ötztal Premium Card only).